When patients from Anchorage, Fairbanks, Palmer, and other parts of the state come to our Alaska plastic surgery practice, they notice a soothing environment immediately upon entering. Thanks to the features of our practice, from the aesthetics of the office to the warm, compassionate staff, you'll find it easy to relax and discuss your body-contouring goals. Our Anchorage plastic surgeon Dr. Sarah Troxel and her entire team offer personalized, thorough care during the course of your treatment. As a highly respected and renowned plastic surgeon, Dr. Sarah receives patients from Anchorage, Fairbanks, Palmer, and throughout Alaska. Our plastic surgeon, Dr. Sarah Troxel, attended Dartmouth College in Hanover, New Hampshire. She received both her B.A. and M.D. degrees from this renowned institution and graduated with Alpha Omega Alpha honors. This distinction is given to students who finish their studies in the top ten percent of each class. After completing her plastic surgical residency at Stanford University in Palo, Alto, California, Dr. Sarah relocated to Anchorage. She has established herself as a premier plastic surgeon in the area, drawing patients from Palmer and Fairbanks, Alaska and beyond. Dr. Sarah Troxel is certified by the American Board of Plastic Surgery, an organization that requires rigorous testing before granting membership. Dr. Sarah Troxel is also associated with Interplast, an organization devoted to performing reconstructive surgery on children in developing countries who normally do not have access to care. As a volunteer physician with Interplast, she has performed cleft palate surgery and other kinds of reconstructive procedures for children in many different countries. 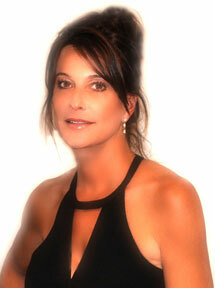 Dr. Sarah specializes in cosmetic breast surgery, breast reconstruction, and body-contouring procedures. She offers all of her patients care that meets high professional standards and individualized, personal treatment. If you are looking for a qualified plastic surgeon please contact our plastic surgery practice. Dr. Sarah Troxel and her staff look forward to meeting you and helping you obtain the body you desire. We will be happy to schedule a consultation with you to discuss your goals. Please contact our Anchorage, Alaska plastic surgery practice today . Patients travel to our Anchorage plastic surgery practice from around the state. For superior results and friendly, personalized treatment, contact Dr. Sarah and her staff today. As a premier Anchorage plastic surgeon, Dr. Sarah Troxel receives patients from Fairbanks , Alaska and other communities in the Last Frontier State. The entire staff at our Anchorage, Alaska plastic surgery practice looks forward to meeting your needs.